Learning how to read stock charts and identify price patterns is an important part of the technical analysis process. When a trader understands these basics, they can incorporate them in their trend trading and momentum trading in pursuit of potential profits. 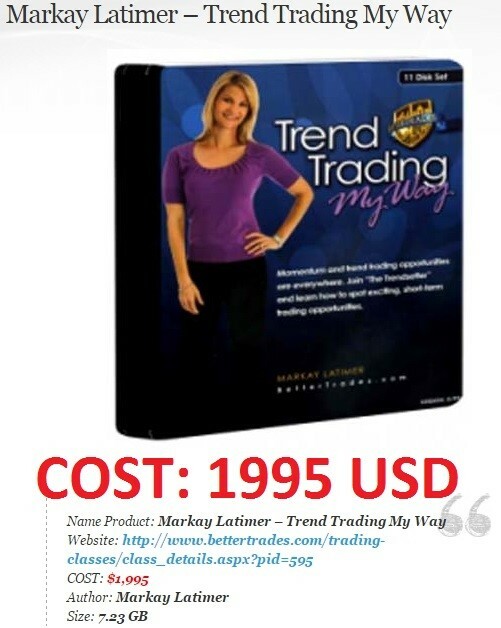 In this 11 DVD set, BetterTrades coach Markay Latimer will teach you powerful charting techniques that, when applied correctly, may help you identify potentially lucrative trading opportunities. Students will be shown how to apply these charting techniques to a momentum opportunity, which generally last 1-5 days, as well as to a trending opportunity, which can last 2-3 weeks. Markay covers patterns that can be applied by a variety of different kind of traders – those who have the flexibility to watch the market during the day, as well as those who need to set up their trades at night when the market is closed. This series is designed to help students learn how to read charts with the aim of becoming a more consistent trader and increase their chances of making a profitable trade.